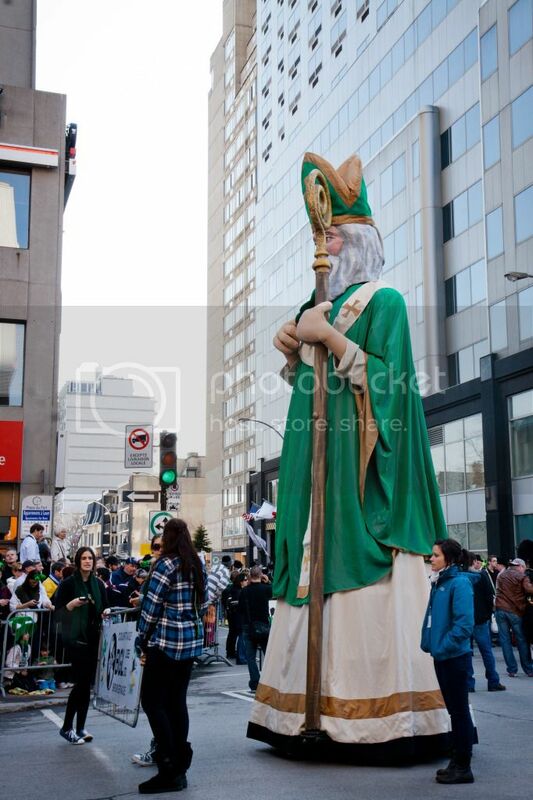 Gee, what am I doing posting photos of St. Patrick's Day when it was over ages ago eh? :p But I still say, better late than never! 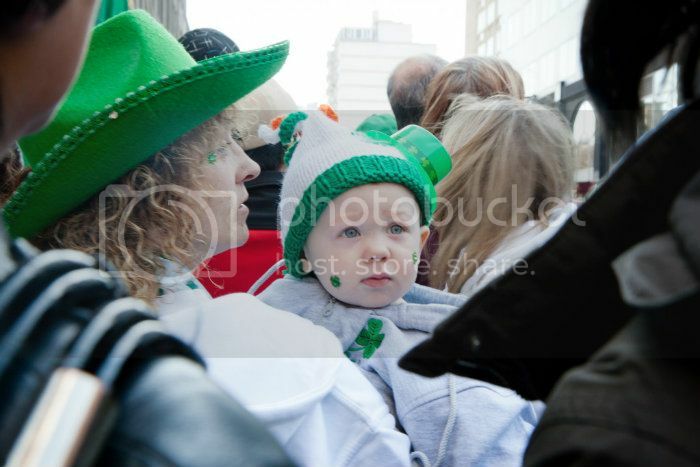 And it was the very first St. Patrick's Day festivities that I'd been a part of. If watching a parade can be considered "being a part of". 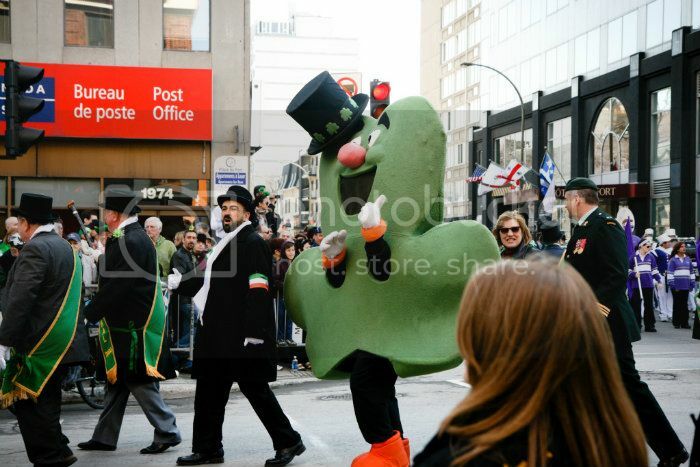 Who would've thought that it every year St. Patty's is a ginormous deal in Montreal? 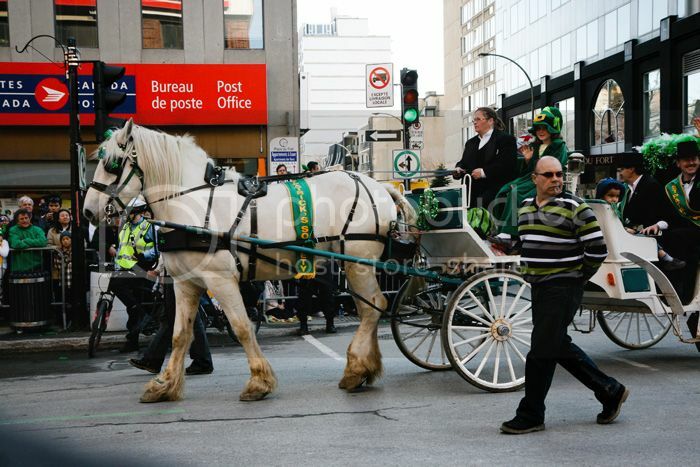 The St. Patrick's Parade has run ANNUALLY in Montreal since 1824 rain/snow/shine, REGARDLESS OF THE WEATHER. And we're talking even amidst snowstorms in the depths of a Montreal winter. That's serious business. 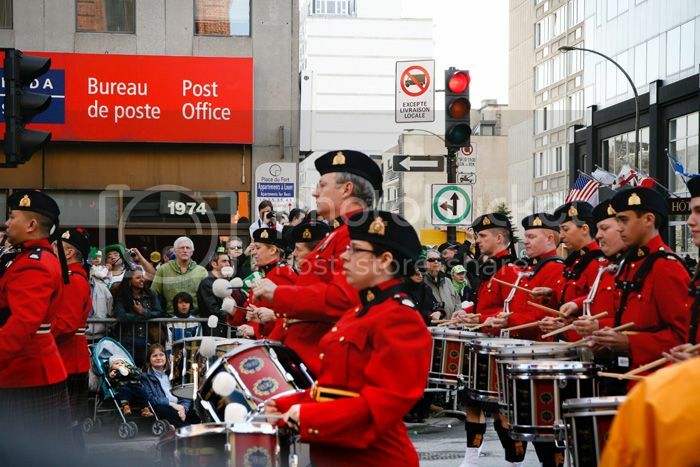 Lucky for me, this year's parade started off just down the street from where I stayed! :) So I was able to weave my way to the front (Montrealers are so nice. Especially to short Asian girls who plead their way through) right behind the barricade for a pretty great view of the parade - which consisted of mainly floats and marching bands. 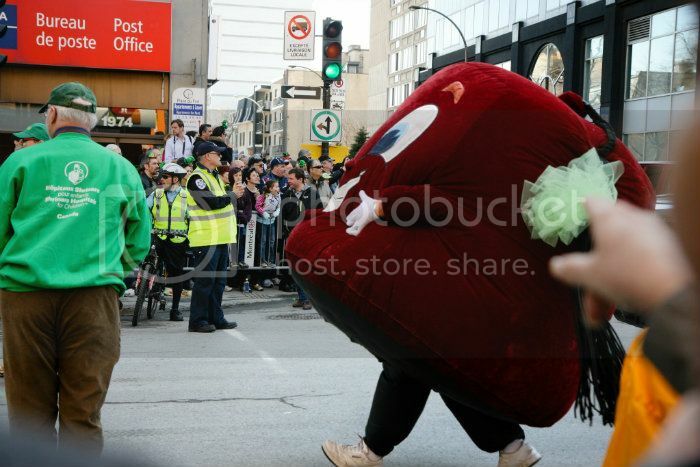 Not too sure what a capsicum was doing in the parade... but I took a picture of it because I thought it was cute. :p Notice how all my photos have pretty much the same composition because I remained rooted at the front of the parade most of the time. Truth be told, I didn't stay on all the way to the end. That was the week of absolute FREAK weather experienced in Montreal - when the temperature suddenly shot up to 20 - 23 degrees C from just 3 - 5 degrees C the day or two before. I was thrilled for the most part but then there were times when it got SO hot... I just had to walk off into a nice air-conditioned cafe for some ice cream. So I ended up going to Cacao 70, an INCREDIBLE chocolate dessert cafe that was also right around the corner from where I stayed. There was just so much good food in Montreal that I only ended up going in there once! :( Can't quite believe it when I think back. It could have been that I was absolutely famished, but this tuna sandwich was SO GOOD. One of the best I've eaten in fact!! Of course, the toast was warm, crispy and BUTTERY on the inside. All the things that make bread perfect. It was such a good sandwich that I ended up learning to use the same ingredients to make my own sandwiches for school. All you need is TUNA, MAYO, CELERY (for that extra juicy crunch)(and to feel a little healthier), CHERRY TOMATOES (halved). 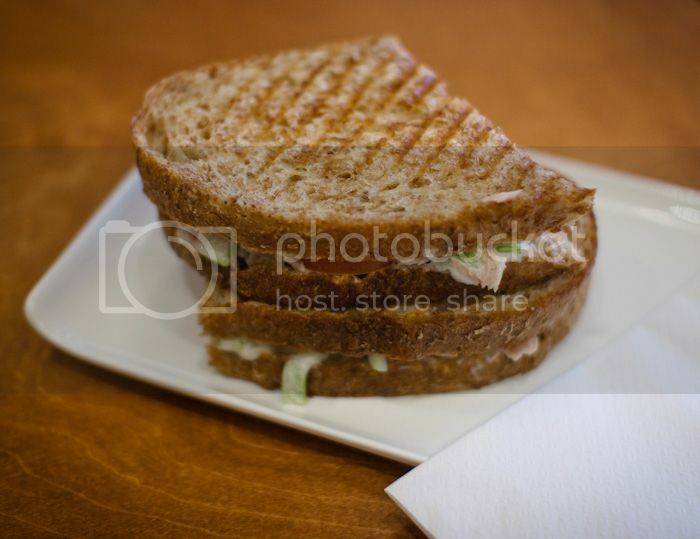 Mix the ingredients up in a bowl and then sandwich in between two slices of buttered toast. PERFECT :DD I haven't made that since coming back to Singapore so looking at these photos and thinking back to those days makes me want to make it again. LEFT: I loved their cupboard display. And there were books customers could borrow too for a quiet read sipping on hot cacao. :) What could be better? RIGHT: I was over-reaching on this one, but I REALLY craved something cold and creamy. :) And it was a Chocolate bar for heaven's sake. I couldn't leave without at least trying one of their desserts. This was a chocolate and raspberry parfair with vanilla and chocolate ice cream. SIGH. Why don't they have chocolate bars in SG? They'd be such a great hit here, especially if the prices are as affordable as those in Montreal. 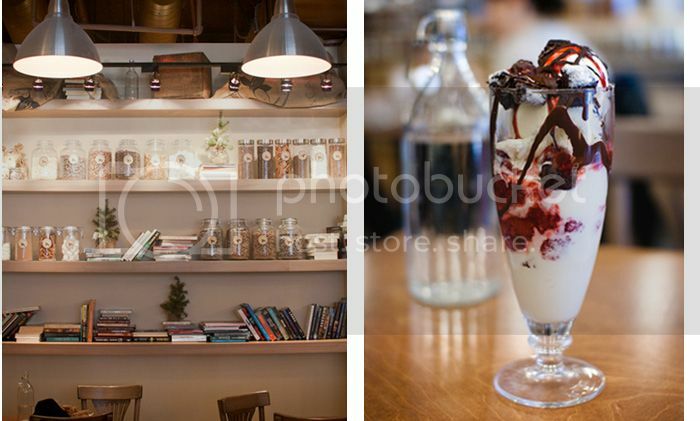 From what I've read on websites, Cacao70 is the alternative to the extremely well-known Juliette et Chocolat chocolate dessert cafe chain. But both are equally good. 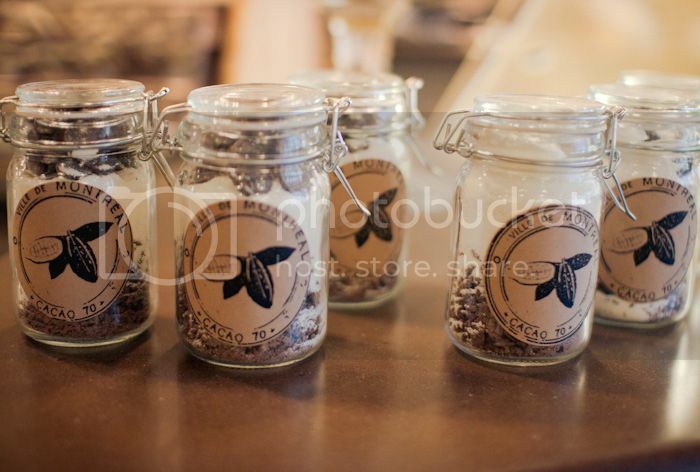 Juliette et Chocolat is a must-try too because there are SO many flavors to choose from. 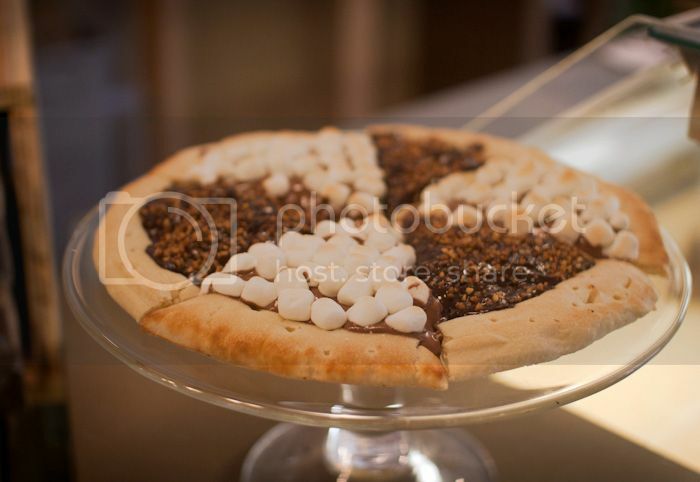 I think there are more desserts as well, while Cacao70 has more savory options on its menu. But the plus point about Cacao70 is that because it's less famous/less touristy, it's less crowded, has a nice quiet ambience, and you're more likely to get a seat at any time of the day. :) It's a MUST-TRY.